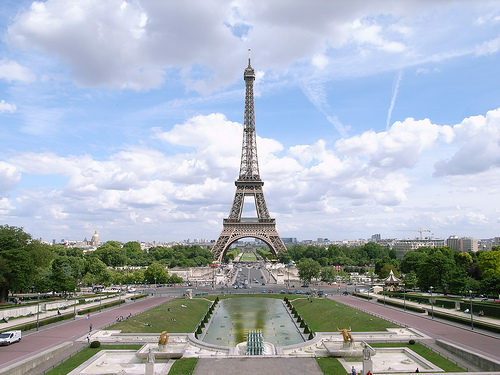 The regular economy fare at $600 with American, British Airways, Finnair, and Iberia includes ONE checked luggage and normal size carry-on. 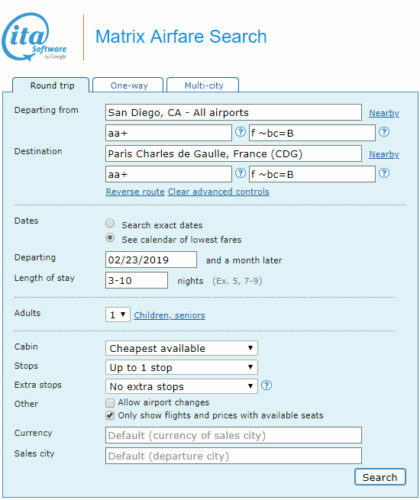 Valid for travel from late-February 2019 – late-March 2019 and from mid-October 2019 – late-December 2019 for Sunday through Wednesday departures and for Tuesday through Friday returns. Must purchase at least 1 day in advance of departure. 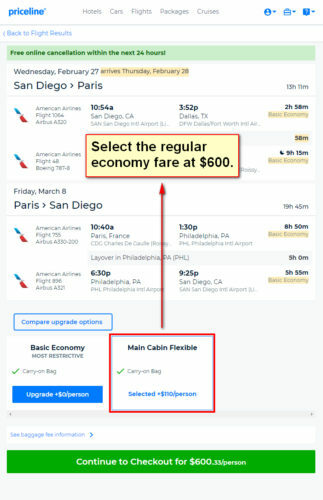 From the search results, select the basic economy fare at $490 after which you will have the option to select the regular economy fare at $600.